Whitmer and Brewer filed paperwork in Ingham County Circuit Court asking for a new expedited judicial investigation. You can read a copy of the full complaint here. “I would expect them to do this. It’s kind of typical standard operating procedure to do this sort of thing but there’s no substance behind it,” John Truscott said. He handles media requests for Schmidt in the scandal. “The people who know who have investigated this very thoroughly have said there’s nothing there and we accept their word for that,” Truscott said. The Kent County Prosecutor felt the decoy, Democratic candidate Matt Mojak (who Schmidt’s son recruited to run against Schmidt) committed perjury when he lied about where he lived. But the prosecutor felt the decoy was the least culpable in the scandal and decided not to press charges. Whitmer wants a special one-person grand jury to investigate whether Schmidt and/or others should be charged with conspiracy to commit perjury and subornation of perjury (recruiting someone to commit perjury). The prosecutor’s investigation shows Schmidt helped the decoy candidate file paperwork with the wrong home address. Mojak was initially offered $450 to file. 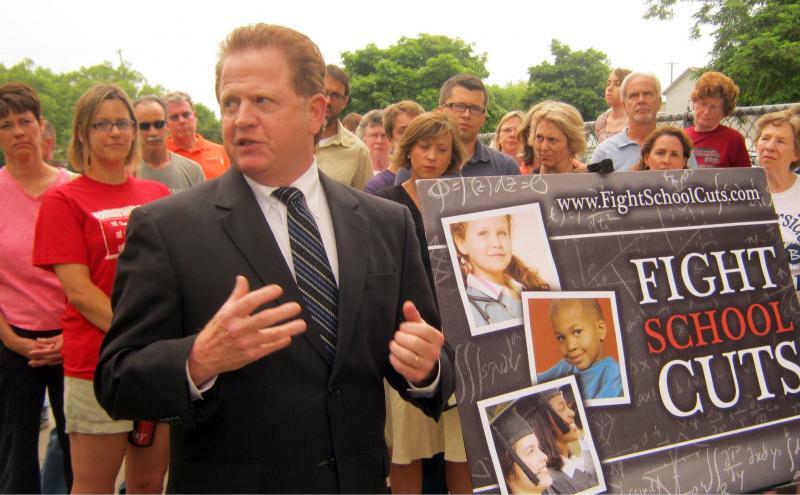 Calls to the Kent County Prosecutor’s Office to comment on this development have not yet been returned. The complaint also alleges officials at the Secretary of State’s office obstructed justice when the office didn’t immediately turn over video recordings from the branch where Schmidt and Mojak filed that paperwork. A SOS spokesman said the 64 hours of video Michigan State Police requested was such a large file the office had a difficult time getting it in a format to give to MSP. The video was compiled, he said, but not until after MSP halted the investigation at the Kent County Prosecutor’s request. The SOS is still investigating whether any campaign finance laws were broken during the scandal. There is no clear timeline for that investigation to conclude. Whitmer wants a special one-person grand jury to investigate the charges. “This is not fun and it’s not easy and it certainly is not going to earn me any popularity points here at the capitol, but I think this is the right thing to do. This is a very serious matter and no one, no one, is above the law,” Whitmer said of her decision to file the complaint. A similar process was used in to prosecute fake Tea Party candidates placed on the ballot in Oakland County in 2010. The Kent County Prosecutor says a state representative who switched political parties minutes before an election filing deadline may have committed election fraud. But the review concludes Democrat-turned-Republican Roy Schmidt did not do anything criminal. 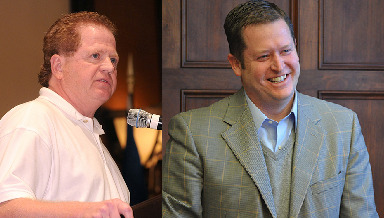 The prosecutor’s investigation shows Roy Schmidt (R-Grand Rapids) worked with House Speaker Jase Bolger (R-Marshall) to switch parties and run as a Republican. 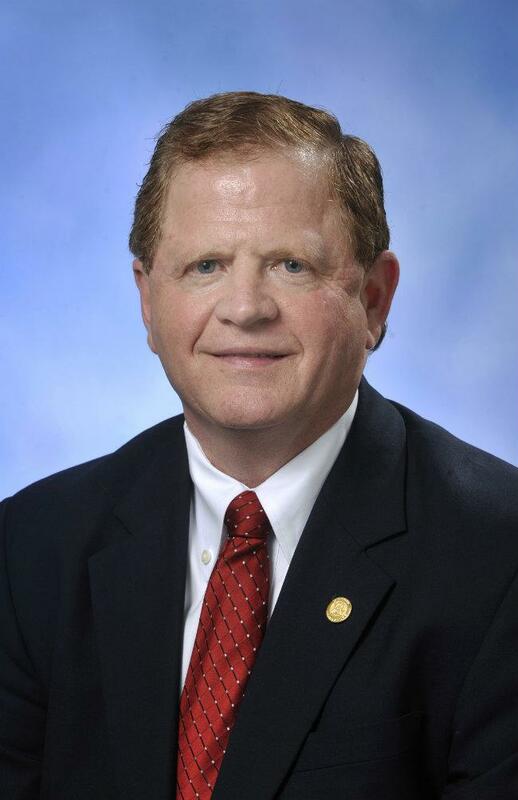 A Michigan house representative, who made a controversial switch from the Democratic to the Republican Party last month, will face a political novice in the fall. 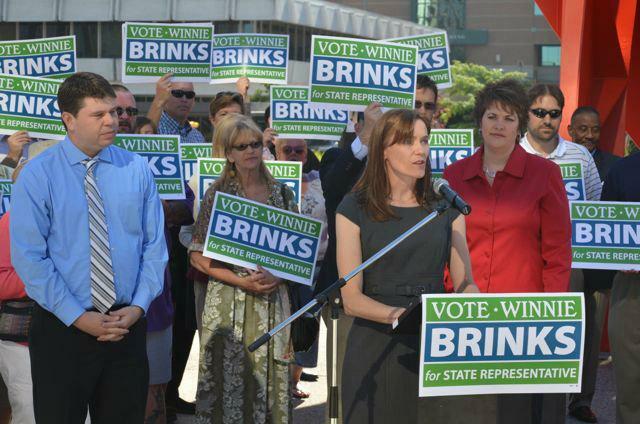 Winnie Brinks filed paperwork today to run as a Democrat. She’s a case worker at a non-profit organization, and she’s never run for political office before. “I think it’s time for some new eyes. It seems that the direction we’re heading in Lansing is not what our middle class needs; it’s not what our schools need. And not being part of that negative history, sure, I think that’s a good thing,” Brinks said. Brinks has lived in Grand Rapids for 22 years. The 44-year-old has three daughters, aged 11, 14, and 16. She’s active in her public schools’ legislative committee and once worked for Godfrey Lee Public Schools. She says restoring education funding would be one of her top priorities. “We’ve got a lot of work to do in a short period of time, but I am confident we can do it. We’ve got a lot of good energy. 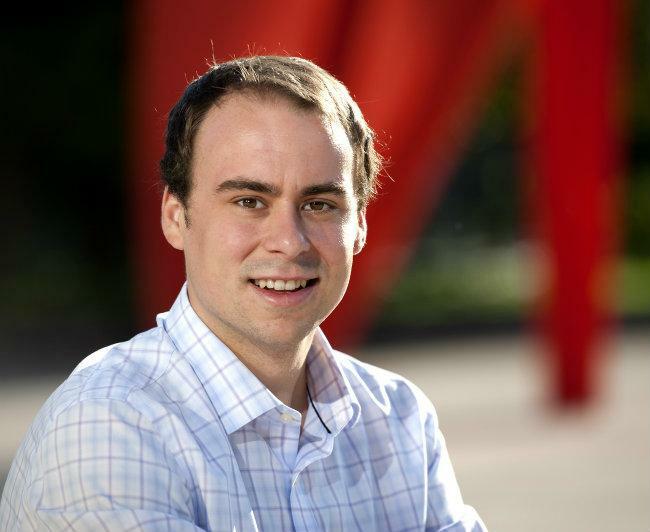 We’ve got a lot of support behind me,” Brinks said. Several hundred people will need to write in Brinks name on the August primary ballot in order for her name to appear on the ballot in the general election in November.